If it’s one thing we’ve learned covering the real estate scene in Philly it’s this: don’t sleep on Penn. Why? Because just when you finally start to wrap your head around their the award-winning Krishna P. Singh Center for Nanotechnology and get all cozy with the Henry A. Jordan Medical Education Center, they smack you firmly in the face with yet another stunning example of top-notch design. 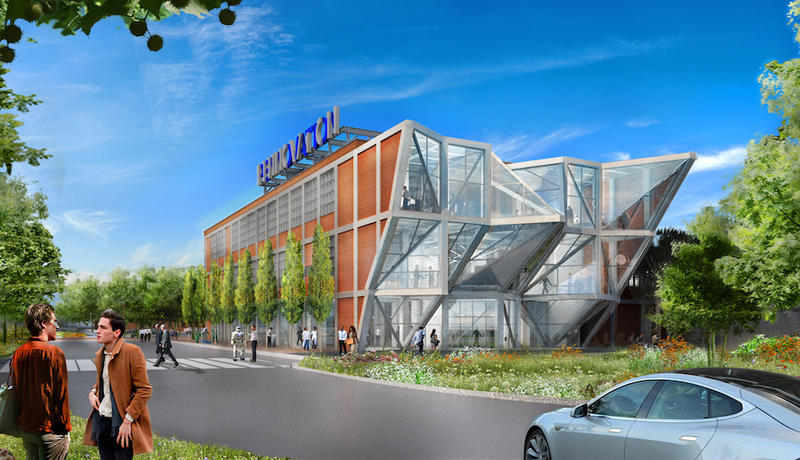 This time it’s for their 58,000 square-foot building in the center of their planned innovation park at 3401 Grays Ferry Avenue. 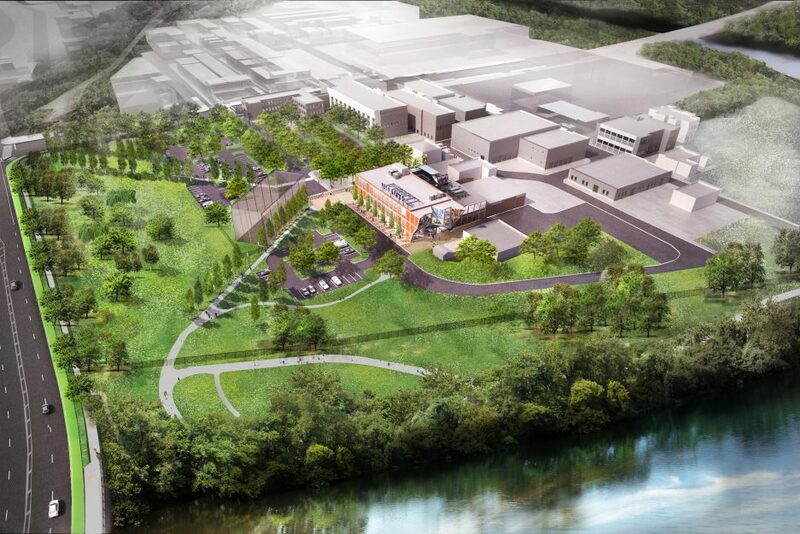 Penn’s Board of Trustees approved the new designs for the Pennovation Center at the Pennovations Works Site on the Schuylkill River. 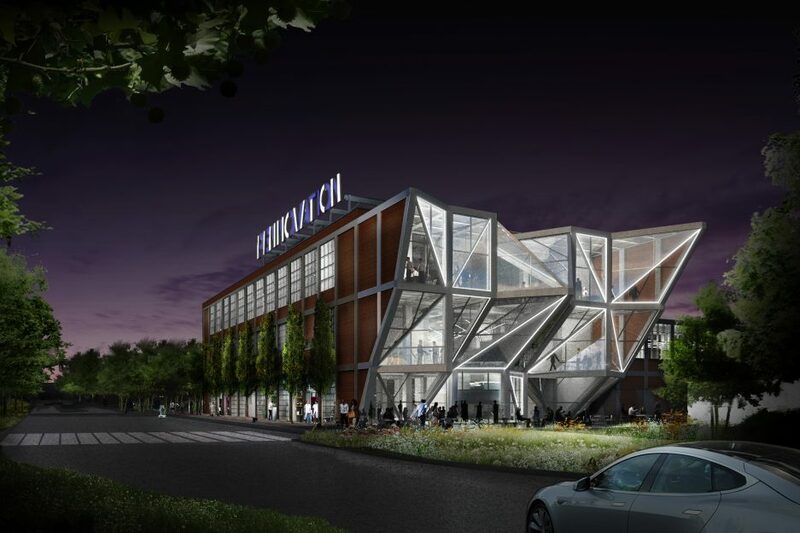 New York-based architects HWKN (Hollwich Kusher) will “rehabilitate an existing industrial building once used for material-science research,” according to a press release from Penn. The building’s northern façade bursts forth from the grid of the repurposed former industrial warehouse with illuminated angular panes of glass, reflecting the robust creativity and entrepreneurial activity taking place inside. 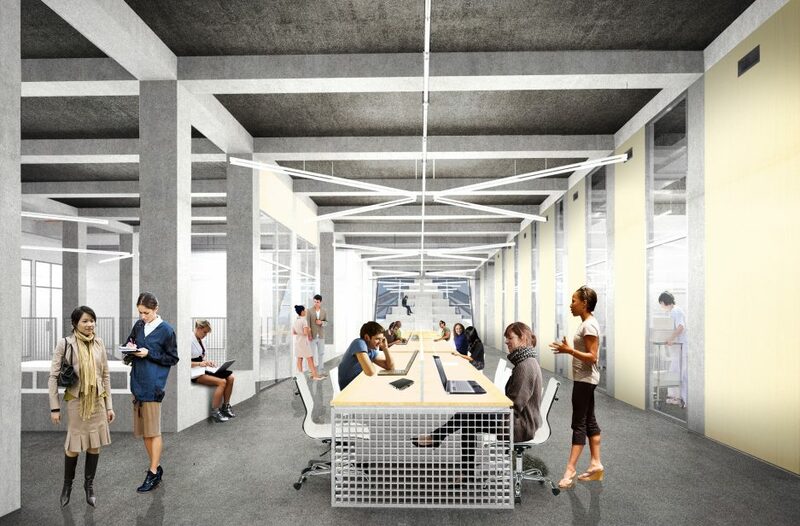 It allows for natural light and unique views of the Schuylkill River, Penn’s campus and the Center City skyline. The new campus of sorts will become Penn’s hub for innovation, research and entrepreneurialism. To further connect with the collaborative nature of the project, HWKN is incorporating a series of garage doors on the eastern facade that open directly into studio spaces. 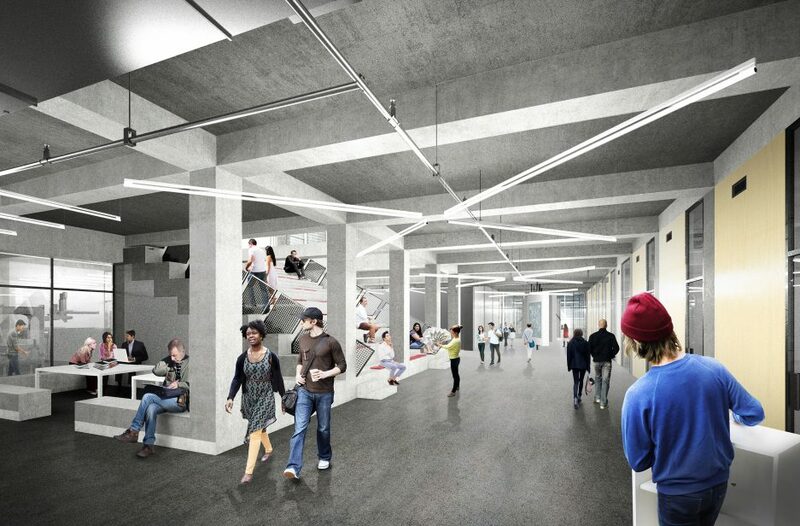 The inside will feature a centralized “bleacher space” for an open environment for events and sharing ideas. 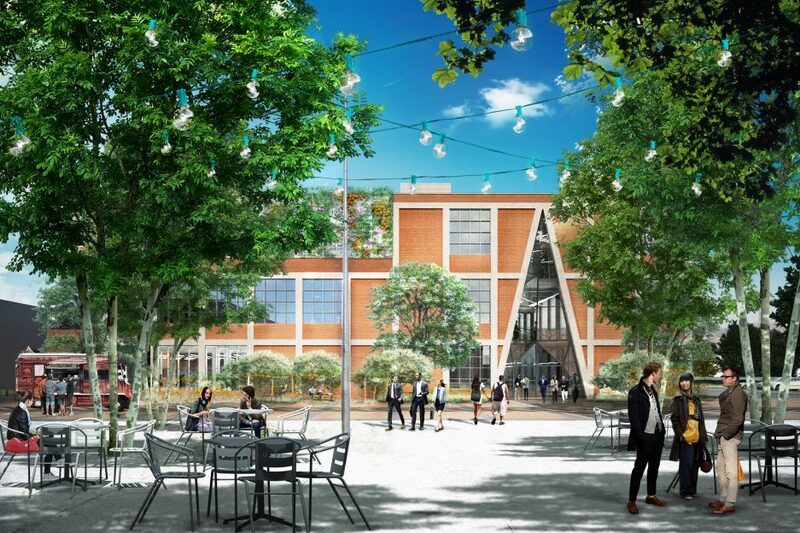 Co-working space, wet and dry labs and meeting rooms will also be housed within the three-story building. 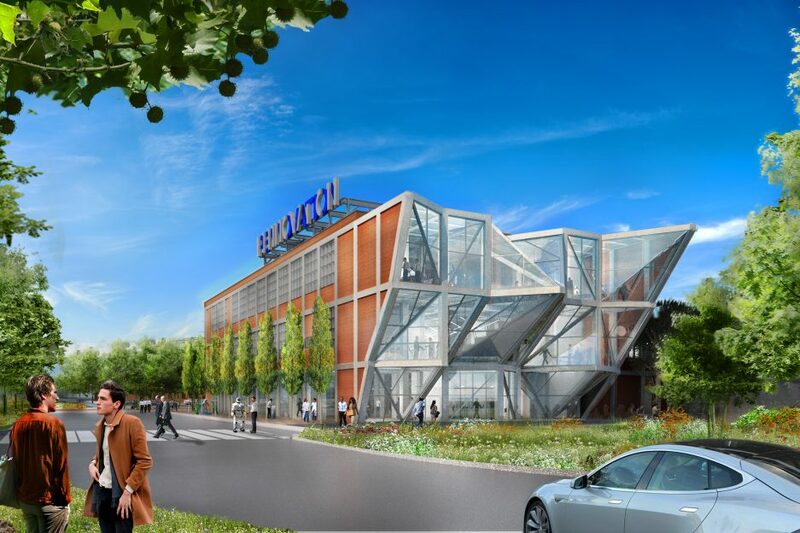 Phase one of the project, which includes the new center, site landscaping and signage/branding and infrastructure improvements, is expected to cost $37.5 million and be completed by summer 2016, with the Penn Engineering lab opening in late fall 2015, according to the press release. The site planning calls for design of the Pennovation Plaza and surrounding landscape which establishes a connection from the perimeter inward and forms a central active outdoor hub for tenants, as well as an instrumented, outdoor lab where the design and testing of robots within a netted enclosure provides passersby with an intriguing look into the developments occurring within the upper portion of the Center. That’s right, people. Get ready to watch live robot testing on your lunch hour.